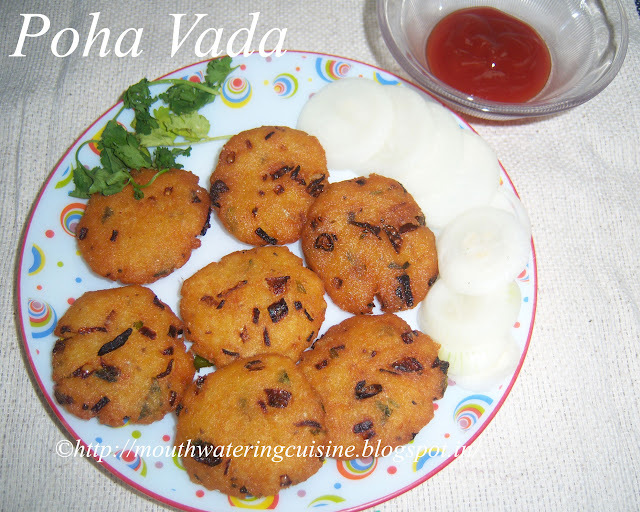 Poha or Atukula vada is very simple and easy dish. Kids also love it very much. Serve it as a appetizer. Soak flattened rice for 5 minutes. Boil potatoes and mash them. Keep aside. In a mixing bowl combine soaked poha, boiled potatoes and chopped onions. Add in green chillies, chopped coriander and salt. Join turmeric powder,red chilli powder and ajwain also to it. Add besan to make it more stiff. Mix it well and make dough of it. Take small portion of the dough and flatten it in between palms. We can make as many vadas as we can fry them at once and keep ready. Heat oil in a kadai, drop them slowly in the hot oil. Fry them till they turn golden brown colour. Remove them from oil and drop on a absorbent paper. 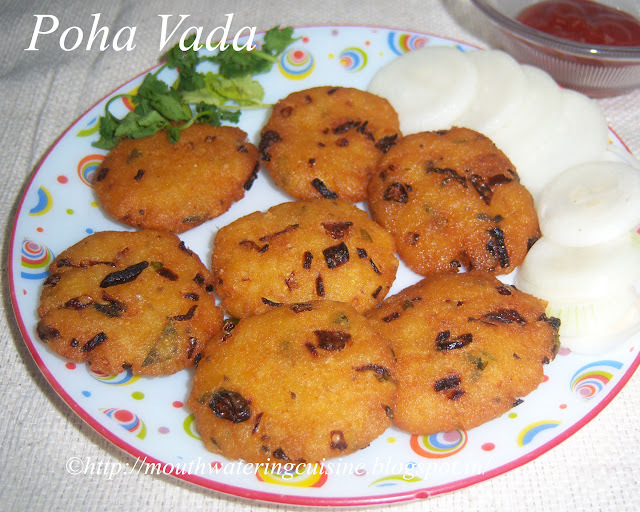 Serve Poha vada with sauce. For more snacks click here.Thank you visiting my blog. Hope you liked all my recipes. Any feedback and comments are appreciated.